Home apple Features Final Cut Pro X Fixes latest macOS tech technology Update Version 10.4.6 Apple Has Released The Latest Update For Final Cut Pro X, Version 10.4.6. 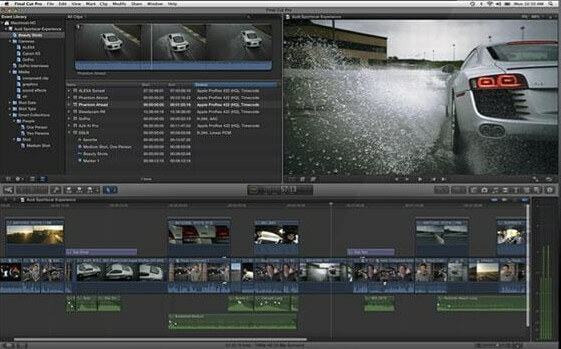 Apple Has Released The Latest Update For Final Cut Pro X, Version 10.4.6. Apple has released the latest update for Final Cut Pro X, version 10.4.6. The update includes stability improvements and bug fixes. But the latest update also has a major new feature coming to future versions of macOS. Apple has also published a support document directing users to upgrade their legacy media files before upgrading to the next version of macOS. "As part of the upcoming transition from 32-bit to 64-bit technology in macOS, you may see an alert in Final Cut Pro or Motion about legacy media files that won't be compatible with future versions of macOS, released after macOS Mojave. 1 To convert incompatible media files detected in Motion and Compressor, you can use QuickTime Player to convert single files, or use Compressor to convert multiple files at once."